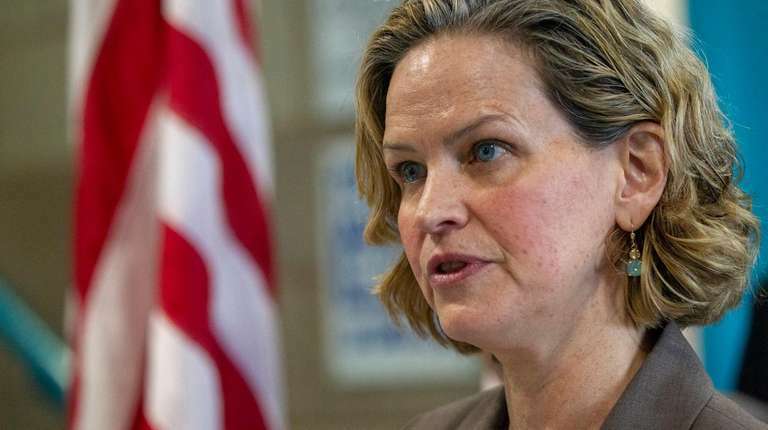 Was NIFA tougher on Edward Mangano than it is on Laura Curran? Some Republicans say the Nassau Interim Finance Authority is treating Curran more gently than it did Mangano — although NIFA chairman Adam Barksy denies it. Nassau’s financial control board has required the county to submit monthly financial reports since January 2012. Former County Executive Ed Mangano, a Republican, filed them regularly, posting them on the county website as soon as they were submitted. But similar reports from County Executive Laura Curran, a Democrat, are missing: Curran’s report for December 2017, the last month of the Mangano administration, has yet to be posted online. She has not posted her report for January 2018, the first month of her administration. Her December 2018 report also is not online. The reports provide monthly statistics on such things as payroll and overtime costs, social service caseloads, tax grievances, union membership and other measures of fiscal health. Some Republicans say the control board, the Nassau Interim Finance Authority, is treating Curran more gently than it did Mangano — although NIFA chairman Adam Barksy denies it. Besides the missing reports, the critics cite NIFA’s hiring of an attorney Curran wanted for labor negotiations — paid for by the county — even though the legislature said he was too expensive. Also, NIFA approved $100 million in borrowing to pay tax refunds although NIFA discouraged Mangano from borrowing. NIFA insisted Mangano use operating funds as much as possible, and threatened to cut $18 million from his 2018 budget if he did not. At the same time, “We have not been easy on her,” Barsky said of Curran. He noted NIFA required her to make budget changes and refused her request to borrow to pay a large legal settlement. He said NIFA initially denied the $100 million in tax refund borrowings until Curran produced a plan to fix the property assessment system. “Little by little, it has been a cooperative atmosphere,” Barsky said. As for the labor attorney, he said NIFA already had been looking to hire him for labor negotiations when Curran proposed retaining him. NIFA expects to “be aligned with the county executive in getting a labor deal that works for all of us,” Barsky said. “We didn’t want to be handed a labor deal that we had to object to or approve at the eleventh hour. We thought it would be more productive to be involved,” from the start. Barsky acknowleged that NIFA had not received the missing financial reports, which Newsday requested from the control board a week ago. Barsky said NIFA still wants them, but said the reports are less important because NIFA now has access to the county’s financial system. Geed said the Curran administration provides financial reports to NIFA when audited. Mangano’s year-end reports, Geed argued, often differed by millions of dollars from the county’s audited year-end results.